Millions of people in Russia and around the world were dumbfounded to see the prime minister of Israel Netanyahu at the Parade of Victory in Moscow on May 9. This disgusting spectacle opened the floodgates of the taboo: "What is it? What is happening with that zionist Netanyahu ? And at whose expense?" The impudence of the “premier of the “terrorist state of Israel” (that is the exact definition made by Erdogan) was really infinite. Just few days earlier Israel delivered a nuclear strike against sovereign Syria on whose territory there were Russian troops invited by the legitimate government of that country. Right upon his return from Moscow, Netanyahu ordered a new missile attack on Syria, under the pretext of Iranian presence there. 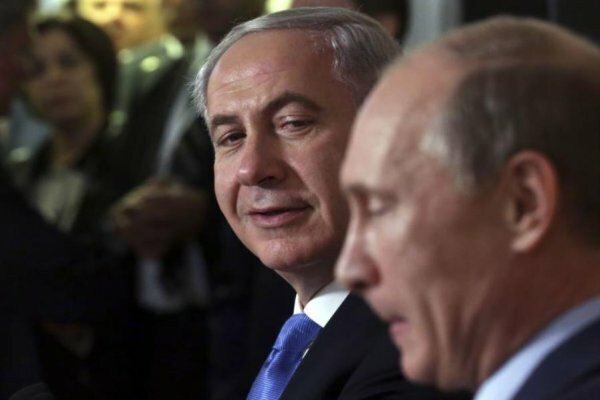 But Putin was silent, despite the previous warnings to Tel Aviv. Why? The answer is that Putin played with the West too long. I know that this game was/is necessary to mask the real goal of reviving Russia and that all the time he had to show the West... weakness. And only when the West started the war in Ukraine and Syria, Putin began talking about the transition of the economy to "mobilization rails". But the West, in particular the Anglo-Saxon Zionist project already knew Putin's weakness – the revival of Russia in the conditions of liberalism. However, liberalism and revival are historical enemies. One cannot be liberal and rebuild Russia. Impossible. In fact, Putin to a certain point managed to combine both extremes, but it was in Syria where the hour of reckoning also came to Russia. Why? Because Anglo-Saxon Zionism understands that Putin's possible defeat in Syria, after the coup in Ukraine, will ruin his authority in the world and in Russia. This was one of the goals with which the US and Israel started the war in Syria. For Russia, the main problem is ,as usual, that the war is coming not in time. Putin is trying to buy time to build missile shield over Russia, but the enemies do not want to give him that time because they are saving themselves from a defeat. From this point of view, war is inevitable. And again, as in the past, the enemy of Russia, is the Zionism and its avant-garde, Israel – symbol of the hybrid war, racism and apartheid. Israel of Netanyahu is a political creation fabricated by the Zionists, descendants of the Khazars, who attached to Judaism in the 8th century. With the aid of Rothschild's bank cartel they stole land from the Palestinians, using London and Washington to legitimize the theft. That’s why the war in Syria is also against Russia. In fact, it was declared by the coup in Kiev four years ago, when the zionists Poroshenko and Kolomoyskyi, with the help of the United States lobby, managed to bring Western and Eastern Ukraine into a conflict in order to settle in Kiev, from where Rothschild would buy Ukraine at a dirt cheap to create some "New Khazaria". No wonder that systematically Putin was portrayed into the role of Saddam Hussein after the war with Kuwait – demonized, sanctions, axes of evil, occupier and terrorist. The Zionist mafia used the same tactics against Milosevic, Gaddafi, Iran, DPRK. And the question of Putin and today’s Zionism has been raised again. The march of Zionism has been observed with great anxiety in the socialist countries of Eastern Europe long before the 1989 coups. In this context, I will bring you back to an episode that one can hardly imagine today. ...During the period 1978-1982, I was correspondent of the Bulgarian official newspaper “Rabotnichesko delo” in Prague, and a regional correspondent in Warsaw (Poland) and Vienna (Austria). In the summer of 1982, in Prague, I received a call from the cabinet of Vasil Bilak (the second man after Gustav Husak), responsible for the ideology, organizational issues and foreign policy of the Czechoslovak Socialist Republic. It was a channel for exchange of important information between top leadership of the Czechoslovak Republic and the People's Republic of Bulgaria – without embassies, diplomatic posts, special services , etc. So, in the summer of 1982, in the office of Vasil Bilak they gave me a small folder and said "personally for Todor Zhivkov". I was allowed to read it. They obviously trusted me. Later, I received two of the top honors of the Czechoslovak Socialist Republic. Not only of these folders. When I reviewed the folder , I was shocked, though I was not a greenhorn. The highest party and state leadership of the Czechoslovak Socialist Republic wanted to consult with the leadership of the People's Republic of Bulgaria concerning the promotion of Yuri Andropov –at that time still chairman of the KGB, to a possible Secretary of the Central Committee of the CPSU (at that time, Brezhnev was alive). They shared the information that Andropov was a jew, who changed his name (Liberman- father’s name, and Fleckenstein- mother’s) and that he had some "zionist deviations" since 1956. Prague (and Warsaw) were particularly sensitive to this issue, especially after the events of 1968. It turned out that they were following Andropov's rise since the events in Hungary in 1956 when he was USSR ambassador in Budapest, where one of his associates was Kryuchkov - the later Chairman of the KGB during Gorbachev. I hardly need to explain what the contents of this folder meant in the context of those years - in some so called “fraternal states”, the KGB chief and future Secretary of the CC of the CPSU was put under top-secret analysis and exchange of critical information without Moscow's knowledge. Of course, the Andropov file reached Zhivkov (before that, in 1981 I was given another important folder in Prague - about John Paul II, prior to Antonov's arrest in Rome). In 1996, during his house detention, Zhivkov recalled its contents. I remembered it now, while listening to Putin's inaugural speech before the Duma, when he spoke again of his interpretation that the CPSU was to blame for the disappearance of the USSR. Wrong. The CPSU, as well as the other parties, could have convened a meeting of comrade criticism, but they had little to do with the coup/s. It was a creeping process that began in the 1960s (even earlier after WWII) with the seize by the Zionist wing of the KGB the highest level in the CPSU, which put Andropov (Liberman), Gorbachev (Gaider), Yeltsin (Moiseyevich), Yakovlev (Epstein), Primakov (Kirshblat) and so on at the height of power. The zionism destroyed the USSR and the prosperous socialist countries with a population of about 200 million. It failed only in China and Cuba, because of their parties that did not allow the coup of their "state security". This is the initial question to Putin and even in the United States, they ask straight "whether Putin understands what it is about and what's going on” and that, while the Russian government demonstrates hesitation and weakness in its answers to Israel's open provocations, it will stimulate even more provocations? That a country that is tolerant to ultimatums from a dwarf such as Israel, who was defeated twice by the small army of the Lebanese militia, would not be respected. In addition, while the West perceives Russia’s conciliatory attitude as a weakness, the provocations will continue and push the world into the Third World War. 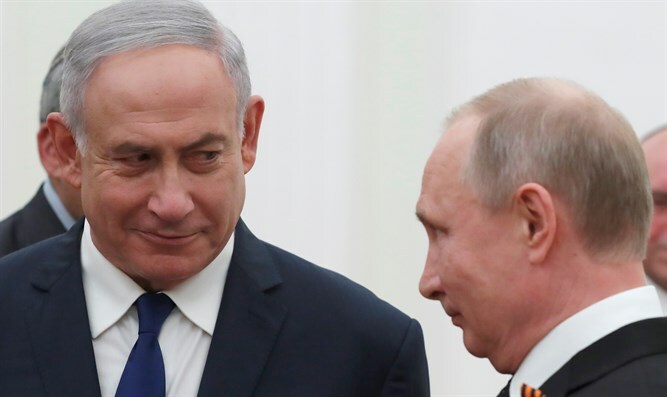 Most importantly - does Putin understand that peace with Russia is not included in the plans of the global zionist mafia, and any attempts to negotiate an agreement with them in the Middle East ( not only) will mean the crisis will continue until the war will completely swallow us.